Augusto Esquivel makes these beautiful artworks using simple buttons hanging from a fishing cord. 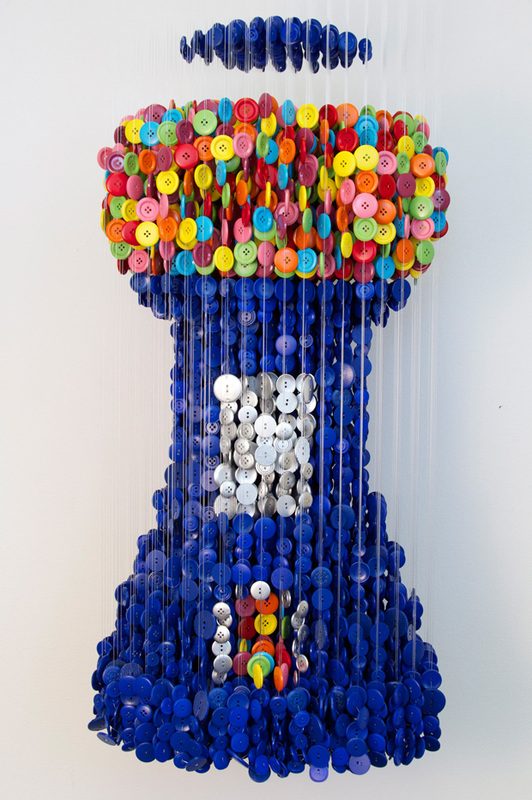 These artworks represent simple everyday objects, as well as, famous works of art like Mona Lisa, using only buttons. Discover the unique work of the artist. This artist living in Miami shows that even with small everyday objects, you can create true works of art. From the candy machine to the famous Mona Lisa portrait, the possibilities are immense using buttons of different colors and a little imagination ;). Here is a selection of the wonderful works of the artist, to see more you can go to the Site . A series of creations that remind us of our childhood things like the candy machine or horse riding 🙂 Which of these artworks impressed you the most?